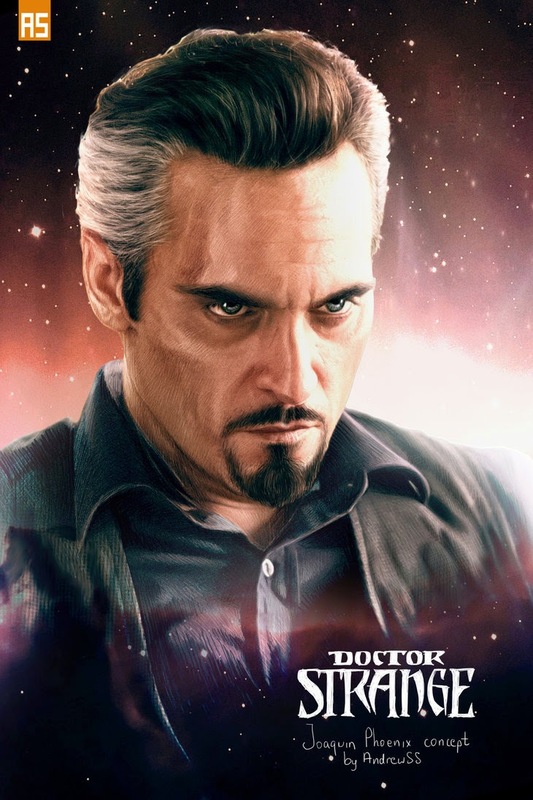 nerdy views: Joaquin Phoenix as Doctor Strange? Marvel has been looking into a few names for their upcoming Doctor Strange movie which we'll potentially see in July 2016. Among those names are Benedict Cumberbatch, Tom Hardy, and Joaquin Phoenix. Phoenix may be the most interesting name now thanks to Deviant Art user AndrewSS7 and his concept art of the actor as the Sorcerer Supreme. What do you think? I think it's pretty damn good!